Nenas/ buah nenas or in english we called Pineapple, tropical fruit is one that is alive and well in Indonesia, particularly in upland areas. Pineapple fruit, fruit that does not look beautiful when seen from the outside. With the shape of a pineapple tbuah rough porters, no one expected that the pineapple fruit is very good for beauty. Usually pineapple but can be used as an alternative medicine, many of the processed pineapple fruit that often we consume. Such as pineapple jam, pineapple Lotis and others. 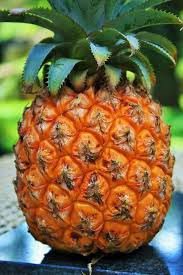 Protein digestion, benefits of pineapple can be obtained because the fruit has the enzyme bromelain in large numbers. Mini Enzi useful to facilitate the digestive process and as lozenges. Accelerate the wound healing process, another function of the enzyme Bromelain is able to accelerate the process of wound healing and reduce inflammation and swelling in the body. Serves as cleaners, cleaners benefits of pineapple as is also obtained from the presence of the enzyme bromelain which can help keep the acid levels in the blood become balanced. Pineapple can also reduce levels of excess water from the body so that it can help cure diseases Edema.